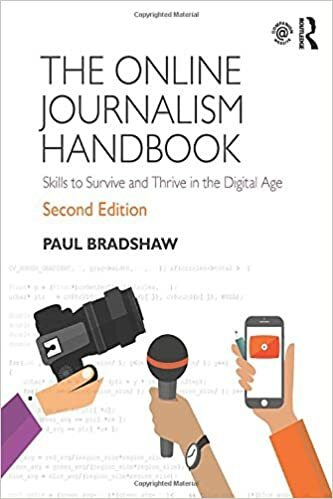 Today I’m trying an experiment with a group of students on my undergraduate Online Journalism module – a ‘Social Media Treasure Hunt’ on their patch: Birmingham. The students are all reporters who will, next week, be reporting for the environmental news website Birmingham Recycled. Last week they set up their systems – RSS reader, Delicious, and Twitter – and this week they are setting up their blogs. They’ve already had the lecture about the theory – now comes the practice. But instead of the usual workshop-in-a-computer-room, I’m taking them into their community. Get them away from a desk. 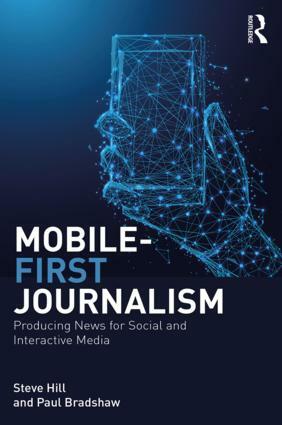 It seems to me that most people approach online journalism as a deskbound job – actually, it opens up enormous opportunities for production on the move: moblogging, liveblogging, photoblogging (one student has already tried all 3 in one go). Get them to open their eyes, ears and noses. These students have spent 18 months learning how to be journalists – looking for angles, structuring a story. Now I’m asking them to unlearn some of that when they approach a blog: put out unfinished material; observations; raw material. Sharing – not processing. That can be a hard habit to get into. At 9am this morning a group of around 15* 7 students will gather at Coffee Lounge in Birmingham city centre. They all have phones with web packages and/or laptops with wifi. I will make sure they are all set up with a blog, and are able to post to it from their phone or laptop. You have been given the name of a person with a social media presence in Birmingham (e.g. blogs, Twitter, Flickr, YouTube, Facebook etc.). You must find a way to contact that person, and arrange to meet them as soon as possible, today. …As you travel, you must generate as much content as possible on social media – tweet; take and upload pictures; bookmark webpages; record or stream video or audio; and of course: write blog posts containing all of the above. The purpose of this hunt is to share as much as possible – experiences, insights, opinions, questions – so that others can get to know the city – and you – through your senses. Tag everything that you do #bsmth (Birmingham Social Media Treasure Hunt) – and follow all the other material using that tag. You cannot ‘hunt’ a person who is already being – or has been – hunted by someone else. 5 points for every other piece of valid* social media generated. *UPDATE: We had a couple inches of snow overnight, which disrupted transport (yeah, I know – just a couple of inches) and prevented around half of the students from taking part, so I adapted by starting a second meme, #snowbrum, for those who were housebound. This was overseen by Birmingham Recycled’s editor, Natalie Adcock, and I’ll blog about that in due course too. This entry was posted in online journalism and tagged birmingham, birmingham recycled, bsmth, journalism education, online journalism education, snowbrum, social media, treasure hunt on February 19, 2010 by Paul Bradshaw.